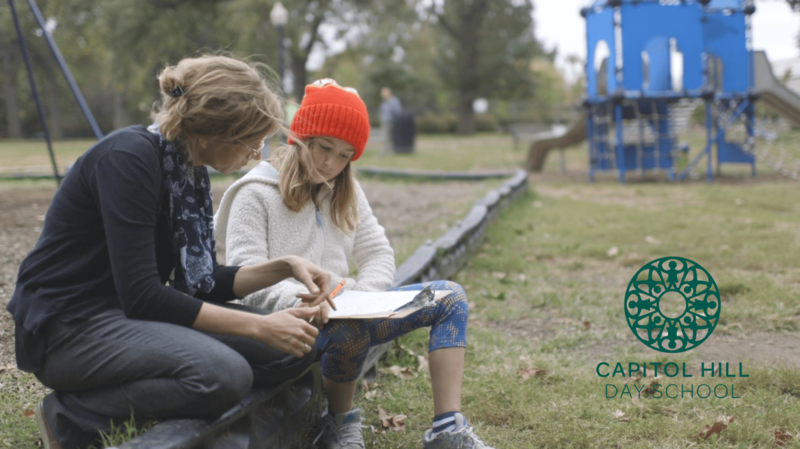 Capitol Hill Day School deeply engages a diverse community of students in connecting the classroom to the larger world, supporting each child in developing the confidence, compassion, and intellectual capacity to live a life of purpose and value. Capitol Hill Day School is an independent, coeducational school for students in prekindergarten through eighth grade. Together, its academic day program and auxiliary programs in the late afternoon and summer reflect the School's commitment to create a community of students from varying backgrounds in which individual differences are respected and valued. From its inception, the School has been committed to using the rich and varied resources of the greater Washington area. An extensive program of trips and guest speakers, all related to the curriculum, provides an experiential approach to learning, makes connections between classroom work and the real world, and helps students understand that learning is a process not limited to a classroom setting or a particular time of life. The School believes that students are engaged by the teachers' own enthusiasm for learning. Thus, within broad parameters, teachers are expected to invent, interpret, and shape curriculum, responding sensitively to children's needs, interests, and backgrounds. Teachers work together to integrate the curriculum, relating themes and concepts between subjects and over the years. Respect is given for varying styles of teaching, and different groupings occur within classrooms as appropriate to pedagogical goals. The School believes that healthy social, emotional, and physical growth must go hand in hand with the development of strong academic skills, and that this growth is best nurtured in an atmosphere of openness, cooperation, and civility, where diversity is embraced and celebrated. From the earliest years, children are taught how to be responsible members of a group. They come to understand that being part of a class, of a school, and eventually of a wider community requires compromise, self-examination, empathy, humor, and even struggle. With the trust that a healthy sense of community engenders, children learn that they can express differing views that will be heard with respect and that they are expected to respect the views of others. Essential to the School's community is the diversity of its students and their families, the faculty and staff. Differences in religion, economic circumstance, racial and cultural heritage, sexual orientation, and gender identity and expression create the opportunity for people to learn from each other as they learn with each other. The School is alert to any sense of exclusivity that threatens the appreciation of each of its members' abilities and perspectives. An extensive field studies program, developed by a full-time staff member working with teachers, results from the School's commitment to use the resources of the wider community as part of its academic program. The School values the rich relationships with individuals and institutions that have developed through the years as a result of ongoing interchange. The School depends upon close working relationships among parents, teachers, children, administrators, and the Board in assuring the success of the academic program. At the same time, there is recognition of the need for independence of the staff, under the Head of School’s guidance, in the development of that program. The School values its location and roots in the diverse, complex community of Capitol Hill. The Dent Building embodies many aspects of the School's character, including its ongoing participation in the surrounding neighborhood. Two principles are at the heart of the School's curricular development. First, teachers integrate the curriculum, across as many disciplines as possible, so that students are immersed in specific topics. Second, teachers work together to create a "spiral curriculum," in which students revisit skills and concepts in increasing sophistication over their years in school. Much of the success of the School derives from its scale. The School community is small enough to allow relationships to be individually developed and maintained, yet large enough to present a range of backgrounds, interests, and challenges. The School's sense of community is advanced by the active involvement of all its members. Parents are encouraged to volunteer in a wide range of activities. Students interact across the grades and perform service within and outside the School. The School works with its neighbors in matters of common concern and of necessity uses neighborhood facilities in its program. The Board of Trustees reflects these interrelations, being composed of parent members, the School head and faculty representatives, and others drawn from the wider community. An atmosphere of openness and cooperation in the School community is essential for education and for governance. Just as individual students must feel that their questions and views are respected, so must the School community be able to address constructively sometimes contradictory issues of policy and values.